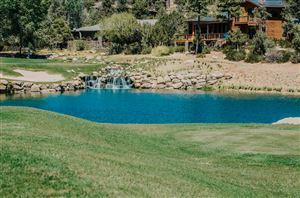 A scenic 75 minute drive from Scottsdale, nestled in the world’s largest stand of Ponderosa Pines … you will find Payson Arizona and the unique luxury home golf community of Chaparral Pines. With its soaring rough-hewn timber beams, crackling stone fireplaces, and sweeping patios overlooking the golf course, the magnificent 27,000-square-foot clubhouse at Chaparral Pines is a welcoming second home to most residents. This rustically elegant facility also features pristine men’s and women’s locker rooms, providing all the amenities necessary for enjoying a day in the pines. The eight-acre Trailhead Park at Chaparral Pines allows members of any age to enjoy the fitness center, swimming pool, tennis and basketball courts,a brand new 60,000 square foot sports field and dog park amenity for the members and and a children’s activity center. With a temperate climate year-round, Chaparral Pines provides a lifestyle best enjoyed in the company of family and good friends. From fun social gatherings and family barbecues to relaxing nature walks and peaceful evenings spent in a rustic home, Chaparral Pines truly celebrates high-quality mountain living. Chaparral Pines’ private championship golf course is an 18-hole, par-72 masterpiece designed by former U.S. Open and PGA Champion David Graham and noted Scottsdale-based architect Gary Panks. Spreading over the Mogollon Rim country of northern Arizona, the golf course features a variety of challenging holes, beautifully manicured fairways and breathtaking views of the majestic landscape – all of which exceed any golfer’s expectations. Thanks to Payson’s mild climate, avid golfers can enjoy year-round golf.